If the application is Developed in Multiple languages then, it is called Globalization Development. 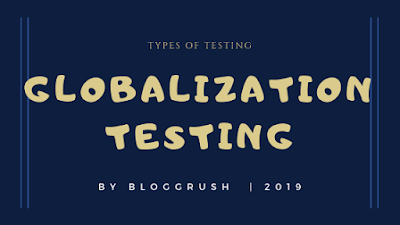 Testing an application developed in multiple languages is called Globalization Testing. 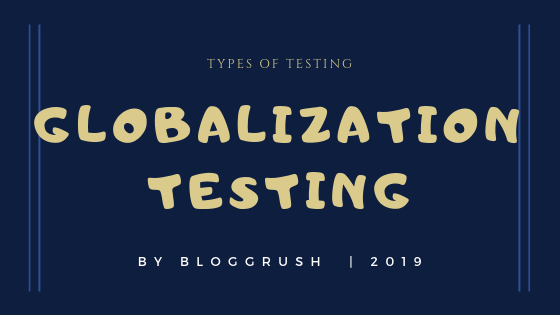 In Globalization Testing, there are two types. Internationalization (I18N): Here we check the right content is displayed or not. Example 1: Application Used in the United States should be in English, If there is some other content present with English in other Languages then, it is an Internationalization Defect. like Contact page is in Chinese but the rest of the content is in English. Example 2: Application Used in the India should be in English, If there is some other content present with English in other Languages then, it is an Internationalization Defect. like Contact page is in Chinese but the rest of the content is in English. To Perform Internationalization Testing we use Google Translator. Localization (L10N): Here we check every field in the application is it developed as per the local Country Standard format or not. Example: The date field in India should be in dd/mm/yyyy whereas, the Date field in us should be MM/dd/yyyy whereas, the Date field in China should be in yyyy/mm/dd.